Scottsdale home insurance claims – especially during the winter – can be expensive. And, whether you live in a colder climate or a warmer winter one, damages caused by a number of perils can put a damper on things. Let’s look at a few winter – and some all-season – claims and how you can best reduce the risk of them happening to you and your home. Historically, year after year, these and other Scottsdale home insurance claims total billions in insurance losses. The insurance industry estimates losses of more than $3.5 billion in 2015 and $2.6 billion the year prior to that. Another of the Scottsdale home insurance claims to be on the lookout for – and to avoid, if possible – are the common slip-and-fall lawsuits and resulting claims. Many of these such incidents occur in the winter, but of course, guests visiting your home can trip and fall anytime during the year, not just during the winter months. Remember, Scottsdale insurance claims can be expensive – whether they occur in the winter or not. So, be vigilant, be prepared and be ready to address potential hazards around your house that could lead to damages or personal injuries causing you or your insurance company substantial losses – and greater headaches! You can find more articles pertaining to Scottsdale home insurance claims in the Scottsdale Insurance section of our site below Scottsdale Real Estate Categories in the column to your right. Scottsdale Home Insurance – What’s NOT Covered? If you're a homeowner you probably already have Scottsdale home insurance. You likely also know that your policy covers your home and its contents from loss or damage in a fire, peril or theft. Some homeowners, however, are surprised to find out there are a number of things not covered by their insurance policy. This article will look at ten items of interest that may not be covered. Be aware of them before you file a claim. And, if you want your home covered against these events, see your Scottsdale home insurance agent to find out what coverage is available and what it costs. If you have a standard homeowners insurance policy, you may not be covered against earthquakes. If you are, the deductible is probably pretty high. As is the case with flood insurance, in most cases, you’ll need to purchase a separate policy for earthquake damage coverage. Discuss an earthquake policy with your Scottsdale home insurance agent and get his thoughts and recommendations. 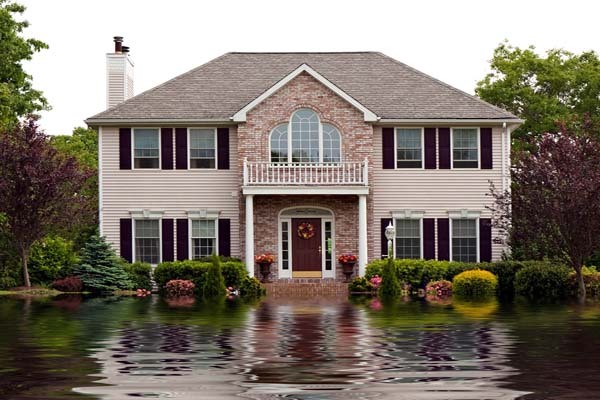 Picture this: An unusually windy and rainy storm occurs and causes your home to flood. You’d be covered, right? Probably not, because flooding isn’t covered as part of your standard Scottsdale home insurance policy. The insurance companies refer to this occurrence as “anti-concurrent causation.” Simply put, when two events occur at the same time, one of them may not be covered under your normal policy. Chances are, mold damage and its results are not covered. It could be, but the best thing to do is check with your Scottsdale home insurance agent to make sure. Remember, if you ever have any type of water damage to your home, correct and repair it as soon as you can to stop mold spores from growing. Scottsdale home insurance can give you the peace of mind every homeowner wants and needs by knowing they’re protected against most perils. However, you’ve just learned of ten such occurrences which may not be covered. Make sure you invest the time to meet with your insurance company and read your policy and its many clauses. Knowing what is and isn’t covered will guard against what could be expensive and frustrating surprises – especially if you find out after the fact that a rider or additional policy could have been bought for a small additional cost. You can find more articles pertaining to Scottsdale home insurance in the Scottsdale Insurance section of our site below Scottsdale Real Estate Categories in the column to your right. Scottsdale Homeowners Insurance: Could it Happen to You? If you’re like most homeowners, you have questions about your Scottsdale homeowners insurance. Unless you’re an insurance expert, very few of us understand all the ins and outs of our homeowner’s insurance policy. More importantly, few homeowners truly understand how losses caused by natural disasters affect their insurance premiums. Believe it or not, homeowners across the country have decided to drop their insurance policies altogether. Let’s examine the reasons why and consider if you could ever find yourself in their shoes. The big question homeowners should wonder about their Scottsdale homeowners insurance coverage is, “Could it happen here?” Let’s take a look at what could happen and why. If your home is covered by an existing mortgage, chances are you’re required to maintain at least basic Scottsdale homeowners insurance coverage on the property in an amount sufficient to cover the outstanding loan amount. However, if your home doesn’t have a mortgage, there’s no such requirement, and you’re free to reduce or even drop insurance coverage. Though not advisable, it can be an option to avoid higher premiums. And while it is one option, there are several others. Consider refinancing to have enough money available to properly cover your property in the event of a peril that could destroy it completely. Still the question remains as to whether insurance coverage is a good idea or too much of an added expense. We argue a case for keeping insurance coverage in force – always – despite the cost. While there may be some areas of the United States that are more prone to certain natural disasters than others, anyone can fall victim to a fire or other loss that may require a substantial out of pocket expense to even attempt to recover. That’s why Scottsdale homeowners insurance experts, financial advisors and real estate professionals all agree that insuring your home is not only vital to protecting your biggest asset, but it protects your family’s future, as well. You can find more articles pertaining to Scottsdale homeowners insurance in the Scottsdale Insurance section of our site below Scottsdale Real Estate Categories in the column to your right. Scottsdale insurance costs aren't cheap. The average U.S. homeowner pays $952 for insurance on their home. While it’s not a budget-breaker, we all would like to pay less. Here are a few helpful strategies and tips that not only better protect your home from loss, but can help save you money, too. First, it’s important to make sure you have the proper amount of coverage on your home. It’s vital to determine whether you’re currently paying too much or not enough. Scottsdale insurance costs experts recommend working with your insurance agent to calculate the estimated cost of rebuilding your home should a disaster occur. Keep in mind the replacement value of your home will likely be a great deal higher than the market value. Why? Because if you have to completely rebuild your home, it will probably be more expensive than what you paid for it. In addition, if you have a mortgage, your lender will usually only require coverage in an amount equal to what you paid for the home. In actuality, the mortgage holder really only cares about sufficient coverage to pay off the loan amount in the event of a total loss resulting from a fire or natural disaster. Your insurance agent can assist you with ideas about upgrades and loss prevention steps you can take to lower your Scottsdale insurance costs – without running the risk of being underinsured. 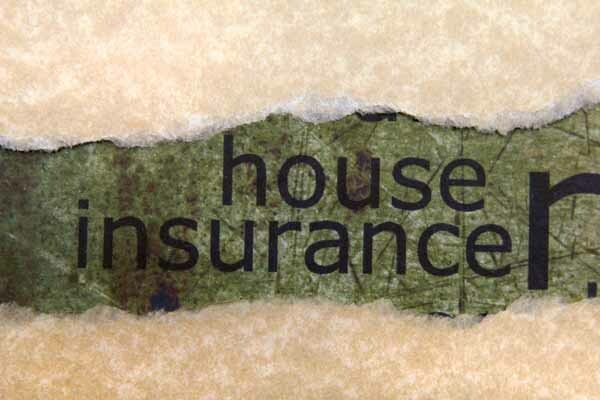 We’ve identified ten items that could reduce your homeowners insurance premiums. Insurance companies – like many other business who receive monthly payments – always seek their own ways to cut costs. Encouraging customers to choose paperless billing has been one way insurers can do this. In turn, by passing on some of the cost savings to their customers, paperless billing can offer you a small discount on your Scottsdale insurance costs. Older homes, of course, likely have outdated electrical and plumbing systems. 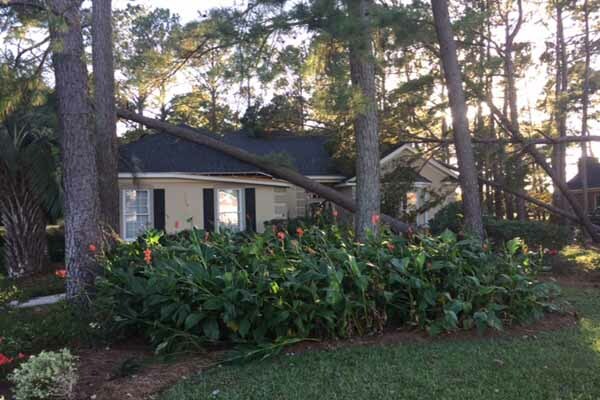 Such systems can often be responsible for damage – and resulting losses – for the homeowner and the insurance company. By replacing the electrical and plumbing systems you can save money on your Scottsdale insurance costs by minimizing the risk older systems pose. Notice we used the word, “professionally.” If your home is located in a hurricane-prone area, having professionally installed protective storm shutters and storm doors can save money on your insurance premium. Check with your carrier ahead of time and find out what they will require for a premium discount. Most companies will want receipts for the work performed or other certification that the work was completed by a professional installation company. 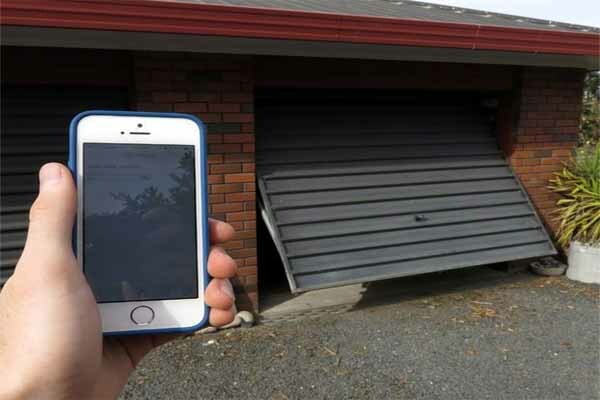 Having specially designed storm shutters and doors may help save Scottsdale insurance costs. One of the hallmarks of good customer service is rewarding customers for their continued brand loyalty. Insurance companies do the same thing. For example, one nationally recognized insurance company will lower a customer’s deductible by $50 for every year the customer has had the policy – without increasing the premium. It’s a simple, but effective way of saying “thanks” for being a loyal customer. The net effect, of course, is the customer is saving money by not having to pay for the lower deductible. It's just another way you can save on Scottsdale insurance costs. You can find more articles pertaining to Scottsdale insurance in the Scottsdale Insurance section of our site below Scottsdale Real Estate Categories in the column to your right.